Hi all, 1st post here. I’ve read on ABW some really good info. 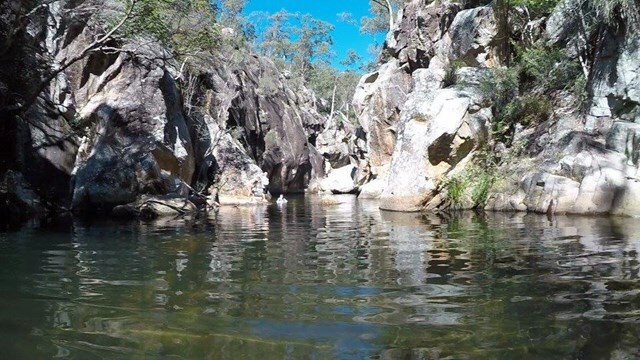 I’m now looking at a walk around the Mt Barney/Mt Lindsay with my 12yo over Easter and looking for some info and recommendations. Looking at an overnite with either a circuit back to vehicle. Or somewhere with a good overnite to pitch camp. Up to say 15km’s. Thanks Richard. I’d had a look at this earlier, but wasn’t sure about pitching overnite, but have since read that someone else had. What do you think? We camped at Mr Barney Lodge and walked to Cronan Ck and back. That is approx. 15km return. There were bush campsites (9 & 10 on the https://www.npsr.qld.gov.au/parks/mount-barney/pdf/mt-barney-np-map.pdf) along the way at the base of Mt Barney if that is more what you are after. To add onto the walk there is Yellowpinch just at the start of the walk. Alternatively you could park the car at the Yellowpinch car park and walk in from there. The Lower Portals have one area right near the portals to bush camp. It will be gorgeous this time of year. There is also Waterfall Ck Reserve where you can climb Mt May. And if you have a 4wd consider driving up to the start of the Upper Portals and walk that track. Hope that helps and enjoy the area. It is my favourite place in all of SE QLD.